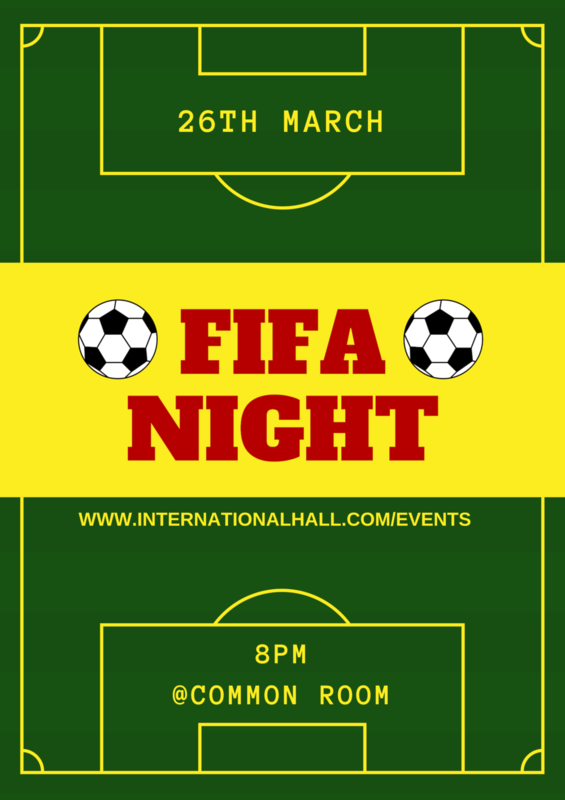 Always a popular event, our FIFA Tournament returns! Come down to the common room at 8pm to test your virtual football skills. Whether you’re an old pro or a beginner to FIFA we want you to take part! Prizes will be on offer for top players! Our ever popular karaoke night makes a return! Come to the common room from 8pm to test your vocal chords with your friends. Prizes will be on offer for the top singers! CVC Night: Table Tennis Tournament! Come on down to the common room at 8pm for the International Hall Table Tennis Tournament! You may be a pro wanting to show your dominance or you could just want the chance to get rid of the dust gathering on your racket. Either way you should come down and challenge yourself! Prizes will be on offer for the top players! Join us for a creative afternoon at the Common Room to celebrate IH’s Mental Health Week! We will provide our residents with a wide range of materials to draw, paint, make collage, etc. Journals are a great way to record memories and feelings and it can be really nice to go back months or years later and re-read them. Journals are personal, so why not add a personal touch to your existing journal, or even make one from scratch? We will provide you with notebooks where you can write poetry, express your thoughts or memories, draw sketches, paint, or make a collage. At the end of the session, you can keep your journal and develop your personal project or simply keep the journal as a sketch notebook. Come down to the common room at 8pm to test your trivia knowledge! Prizes will be on offer for the top teams so make sure you pick your teammates wisely! Join us for a FIFA and other video games session! IH Music Night is one of the highlights every year. All residents are invited to listen and to participate actively. Bring your guitar, your music box, any instrument! You can sing, beatbox or perform body percussions! There is no need to register. We will ensure that a piano as well as a microphone are available to you. Do come along and perform for your friends! 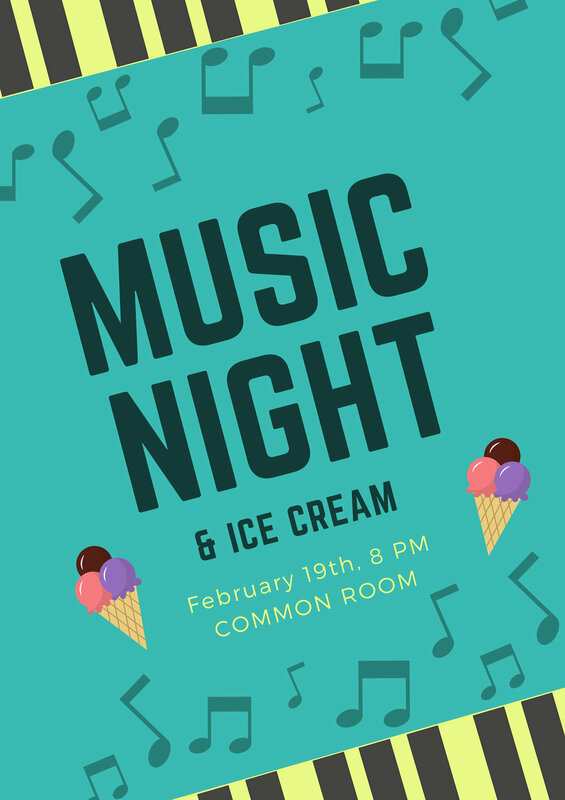 Join us for a magical movie night to watch and sing Mamma Mia in the Common Room! We’ll play the lyrics to sing all the Abba songs and we’ll get popcorn! 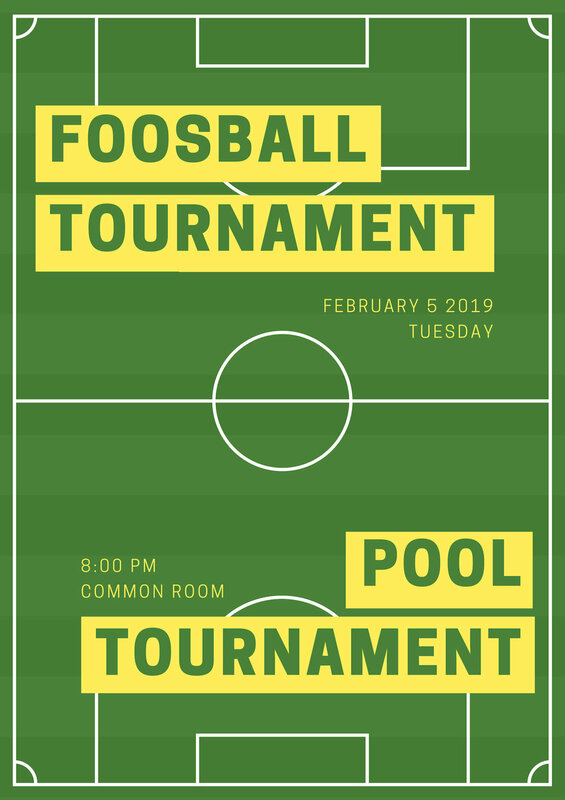 Join us for our famous tournament at the Common Room! Happy New Year everyone!!! IH will be starting the term with another exciting Quiz Night at the Common Room. This is a great opportunity to make friends and reconnect with others at IH! We’ll provide some crisps and soft drinks to make the event more special, and the winners will get a prize. See you all there! CVC Nights - KARAOKE Music Night - XMAS SPECIAL EDITION!!! Join us for another of our famous Karaoke Sessions at the Common Room, this time: XMAS EDITION! We will be singing the classics as well as your favorite songs: All I Want for Christmas is You, Last Christmas, Jingle Bells, Michael Buble and more! Come and get festive at the IH Christmas Party! CVC Nights - Xmas Quiz + Bingo! Join our special Xmas games night at the Common Room! This event is part of Get Active at IH week. It is a great chance to get active and try something new, even if you have never danced salsa before. Throughout his dance career, started at the age of 16 when he started exploring stages and dance floors from both the salsa and tango scenes, Camilo has always focused on going beyond the structure of steps and movements, providing a creative and sensitive approach to create catchy and enjoyable routines and performances. His experience of 12 years in dancing diverse rhythms including Colombian Folk dances, Tango, Urban rhythms and specially Cali style and cross-body Salsa has provided him with first-hand experience of teaching in every kind of environments and performing in several international competitions. 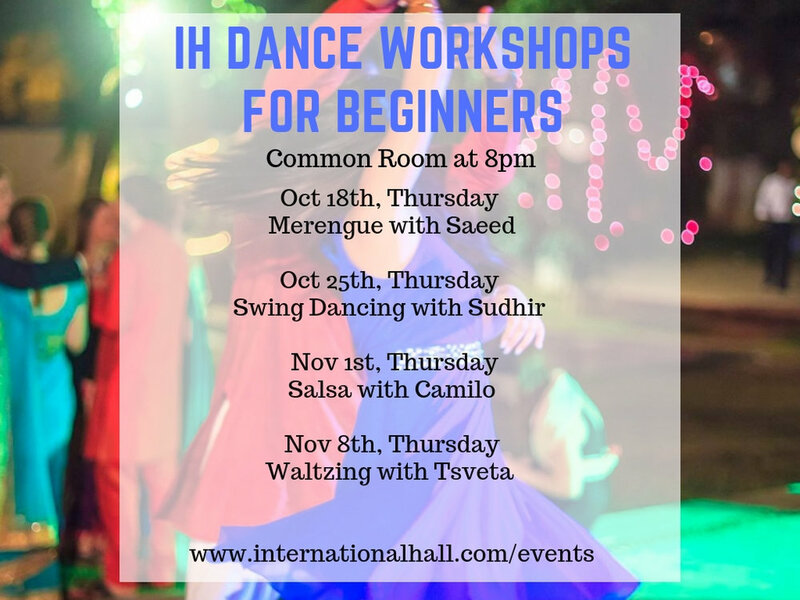 The class at IH will consist of a mix of the basics of these 2 styles of salsa that will give you some tools to apply in the dance floor straight away. IH Music Night is one of the highlights every year. All residents are invited to listen and to participate actively. Bring your guitar, your music box, any instrument! You can sing, beatbox or perform body percussions! There is no need to register. We will ensure that a piano as well as a microphone are available to you. As a little “thank you” from the CVC, we will provide you with free ice cream!!! Do come along and perform for your friends. On this special Tuesday evening, we will be hearing the presentations of those residents who would like to get involved in the Community Volunteers Committee (CVC)! The Community Volunteers Committee is a volunteer body of International Hall residents helping with coordinating social events for the hall community. These include our major parties such as the Halloween party, Boat party and Beach party. This is a great chance to contribute to the community life of the hall, learn new skills and build your CV. All residents of International Hall are eligible to stand for a position in the Community Volunteers Committee. The following positions are available: President; Vice-President; Treasurer; Communications Officer; Two Sports Convenors; Two Cinema Convenor; Two Performance Convenor; Postgraduate Social Convenor; Families’ Social Convenor, Gardening Convenor. Joins us our third official Karaoke session at the Common Room!!! We are proud to present a special series of dance workshops FREE for IH residents and facilitated by IH residents. They are designed to be intro workshops to teach the basics. It is a fun way to learn a new skill, have some fun and meet some great people. Join us for another CVC Night! This Tuesday will be a Pool Tournament with great prizes for the winners! All levels of ability are welcome to take part! Come join us for a spooky night at the Common Room! Best Halloween costumes will get a prize!!! CVC Nights - Beerpong and Games! Come join us for another epic beerpong and games session at the Common Room!! !